Our selection process is based on a variety of factors, including the quantity or degree of claimed scientific evidence within the reporting, the potential relevance of the article in shaping public discussion, and the size of the source’s existing readership. We strive for our reviews to be representative of the spectrum of influential climate discussion in the media. We review articles and claims in a variety of media, without a priori perspective, regardless of whether they insightfully report on, exaggerate or downplay the consequences of climate change. Once an article has been chosen, an editor is in charge of overseeing the review process from inception to completion. The editor invites scientists with relevant expertise -both inside and outside of our network- to contribute to the review. Scientists are asked to comment on the article to indicate whether the facts underlying the reasoning are consistent with up-to-date scientific knowledge. Provide a reference* and a link to the source. Comments should be concise, accessible to general audiences as much as possible, and adhere to proper argumentation structure. Reviewers should represent the state of knowledge in the scientific literature, using strongly supported scientific theories and observations as references, and refrain from pointing to partial/isolated/weakly supported findings. Reviewers are expected to refrain from sarcastic comments, maintain a respectful tone and engage in serious, evidence-based conversation. Adding Relevant Information: Signaling additional resources or information related to the text, providing context, or indicating a perspective based on a scientific publication can also be the purpose of a comment. Scientists should not focus on proving the author “right” or “wrong”. The main objective should be to base thinking on scientific facts and provide valuable resources to journalists and readers. Scientific understanding. Beyond accurately describing basic observations, does the article provide a correct or a mistaken understanding of how the climate system works? Does it understand or misinterpret the significance of the observations? Logic/Reasoning. Do the conclusions follow from the evidence? Are there incoherencies in the reasoning? Precision/Clarity. Does the article precisely refer to concepts as they are used by the scientific community? Or is there some confusion which might mislead the reader? Sources Quality. Does the article rely on adequate and credible sources (experts, studies) to back up important claims? Fairness/Objectivity. Does the author depict a complete or biased view of the relevant science? Does he hold for ‘right’ certain sources without proper justification? Would inclusion of other information change the main conclusion? 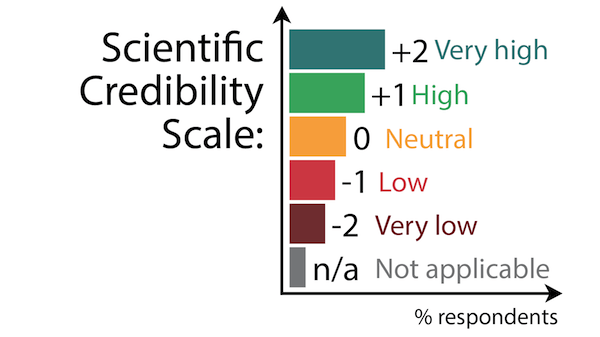 The final Climate Feedback rating is the average of all the reviewers’ ratings; in cases when reviewers largely disagree no rating is issued and the review is left as ‘debated’. Inaccurate: contains assertions that do not correspond to observations. Alarmist: overstates / exaggerates the risks of climate change. Derogatory: contains ad hominem attacks on scientists or scientific institutions. Inappropriate sources: relies on low credibility sources, provides insufficient evidence in support of claims made. After the review process is complete, the editor writes a summary of the most salient points brought by the scientists. We provide feedback to journalists and/or editors about the accuracy of the content published in their outlets. All ‘Feedbacks’ are promoted on our website, across our social platforms, and shared with key media and scientific partners.